There are several offenses that fall under the umbrella of theft, including shoplifting. Certain crimes of theft are charged as misdemeanors, while others may be charged as felonies. Whether the charge is a misdemeanor or felony typically depends on the value of the item(s) stolen. A charge for shoplifting can be serious, and the consequences of these charges can have lasting impacts, including a criminal conviction, possible jail time, and limitations on future employment opportunities. If you have been arrested for shoplifting or theft, remember the police and prosecutors are not on your side. You should not talk to the police or make statements, as this information will be used against you. It is critical that you retain an experienced criminal defense attorney to evaluate your case and possible defenses. Many times, the police ignore or miss important evidence needed to convict you. At the Law Office of Jason M. Hatfield, P.A. our attorneys fight aggressively on behalf of our clients, working to protect your legal rights. We urge you to contact our Springdale, Arkansas criminal defense law firm for a free consultation today at 479-361-3575. You don’t have to go at it alone. Shoplifting is more impulsive than compulsive. Research says most shoplifters age out by the time they reach 25 years old. Almost one in every ten people walking out of a cash-and-carry store has stolen something. Most people steal only things that are considered “okay” to be stolen, such as tasting grapes or dry fruit while walking down an aisle. However, juveniles or college students are known to go overboard in trying their luck looking for a thrill or to impress their friends to see if they can get by the surveillance cameras, anti-theft packaging, and guards undetected. Other shoplifting is born out of desperation or perceived necessity. No matter the motivation, shoplifting may carry harsh penalties impacting your future. If you are charged with shoplifting, you need an experienced criminal defense lawyer in your corner. Shoplifting is a type of theft where people intentionally or unintentionally steal a product. It may be considered a minor offense, but punishment depends upon the value of the stolen goods. There are varying degrees of shoplifting that can raise to the level of a felony. Small electronics such as phone chargers. If you have been charged with shoplifting or theft and face potential penalties, fear not. With the help of a seasoned criminal defense lawyer, you can be well protected. 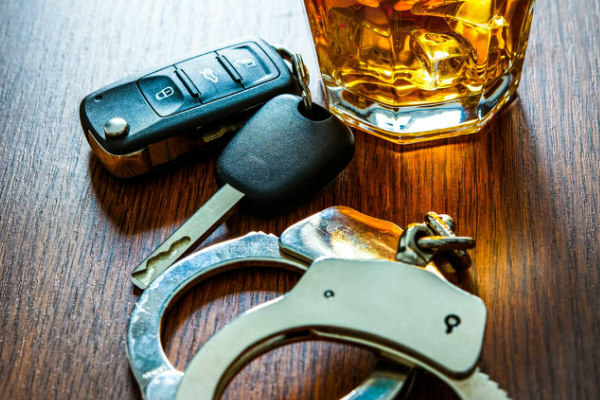 Our criminal defense attorneys know that anyone can make a bad decision on a particular day and it is our job to work to ensure that mistake won’t haunt you for the rest of your life. Under Arkansas law, there is a presumption that you stole an item if you concealed on your person an unpurchased item that is offered for sale by a store or business. If you are caught shoplifting in Arkansas, it is legal for the store to detain you in a “reasonable manner” and for a “reasonable length of time.” If you are charged with shoplifting or theft, the facts surrounding the reasonableness of the detention may be important for your defense. Under Arkansas law, the lowest category of criminal charges for shoplifted property valued at $1,000 or less. Items valued at $1,000 or below are charged as a Class A Misdemeanor. The offense is punishable by imprisonment of up to 1 year and a fine of up to $2,500. Arkansas law states that shoplifted property valued between $1,000 to $5,000 may be charged as a Class D Felony. A utility line or a farm’s utility system (Ark. Code Ann. § 5-36-103). A Class D Felony theft charge for shoplifting may be punished by up to 6 years in prison and a fine of up to $10,000. Under Arkansas law, if shoplifted items are valued between $5,000 and $25,000, a shoplifter may be charged with a Class C Felony for theft. A Class C Felony is a more severe offense than a Class D Felony, so it carries a harsher punishment than the former. The punishment includes imprisonment from 3 to 10 years with fines up to $10,000. Public utility property valued at $500 or more (includes stealing another person’s cable or electricity). Class B felonies for shoplifting are punishable by 5 to 20 years in prison with fines up to $15,000. Whatever the degree of the theft or shoplifting offense, the repercussions could last a lifetime by damaging your reputation and hindering your ability to get a job or maintain a career. In addition to the fines and punishment increasing with the value of the items that were shoplifted, punishments may also be more severe if you have previous criminal convictions. If you, your child or a relative has been charged for shoplifting or theft, contact the Law Office of Jason M. Hatfield, P.A. at 479-361-3575 to schedule your free, no-obligation consultation. Our professional, experienced criminal defense attorneys will explain the charges and your rights and devise the best plan of action for you and your case.